I have two sons in their twenties and often read articles written by parents about the woes of letting go. They often lament about how much they miss their kids after they go off to college and about how sad they are. Consequently, I am often asked by people if I miss my sons. I don’t really miss my sons because I still speak to them on a regular basis and they are still very much a part of my life. In fact, we utilize technology and have them participate in special family dinners via skype or facetime. I like having more time to myself, as well as having extra time with my spouse alone. Plus we make the time to visit each other in person occasionally and I still have one more teenager at home. Yes, I cried both times my two sons left for college. However, I did not wish that things were not changing and I did not wish that they were still living at home; the tears were of concern. Did I teach them enough to be out on their own? Would the world be kind to them? The tears were also of excitement and relief. I am very fortunate that after lots of research, my sons both found colleges where they would experience great joy and make lifelong friendships just like I did when I went off to college. Having my sons go off to college was the culmination of a process that started off when they were in middle school and they started making major strides toward independence. I never had an expectation that my sons would stay at home. I knew that I had to start preparing them to be independent and to go out on their own. I had to let go of the dreams that I had for them and begin to help them develop dreams of their own. There are Benefits to “Letting Go”. I Have Grown as a Person. Going through the teenage years with my sons and daughter, I have learned to be more patient. Furthermore, Discussions with my young adult sons have helped me become a better listener and have expanded my world view. I have also become more adept at handling chaotic and ever changing situations. My Sons Have Developed a Great Support System. My sons have chosen great friends that share their interests and values. My sons have also maintained a relationship with their siblings and developed great relationships with teachers, co-workers, and other adults along the way. I can give them advice and help them work through the pros and cons of making certain decisions. However, their friends, siblings, and adult mentors can also give them valuable advice from a different perspective. The World Is A Better Place. My sons have gone on to do things that I did not imagine. They contribute and give back to the community. My oldest son does cancer research and my middle son is the academic chair at his fraternity. I am so proud of the young adults that they have become. I am very fortunate to have enjoyed every stage of life for my children from the time that they were infants until now. Of course, there have been challenging times as there will always be from time to time. However, each stage of life is different and special in its own way. I look forward to what the future brings. Miriam Phillips-Gill is the founder of Pathways 4 Teens. Pathways 4 Teens has programs for both parents and teens to help teens create their own unique path to college success. Are you a busy parent of teenagers? Sign Up for Quick Tips from Pathways 4 Teens! Plus like us on Facebook or follow us on Twitter for more great information! Last week, I had to sign off on the schedule that my daughter has chosen for her junior year of high school. We sat down with my husband and evaluated as a family why she made the choices that she did. We talked about workload, interests, extracurricular activities, and activities that she was involved in outside of school. Junior year is critical because it is the last full year that college admission decisions will be based on. I could tell that she was really anxious at the beginning of the conversation. After our discussion, she was more relieved. Why the change? It was because I had given her perspective. We talked about her choices including subject matter and content, projected homework load, interests that she has that may lead to selecting a college major later on, and what her favorite classes and activities are. The college selection process is actually a very good way to get to know your teen better. It’s exciting to be going through this process with my third and final child. However, I feel anxiety too. I have concerns about my child just like every other family that I have helped through the process. Are we making the best decisions for her? Preparing for, selecting, and paying for college is filled with anxiety for everyone. High School Graduation is a major transition in a teen’s life and figuring out what the next step should be is complex. Stay Engaged In Your Teen’s Life. Maintain that balance between letting go and staying involved. Talk about the importance of making good decisions. Parents can give perspective especially when teens make mistakes. Give them advice and make them aware of options so they can work through difficult situations. Helping them work through things now gives them the ability to do things on their own later. Focus On Your Teen’s Needs. I have often spoken with teens who feel stressed that they are behind. Avoid comparisons. Don’t waste the high school years trying to turn your teen into what you think the ideal college application should look like. Focus on the needs and happiness of your teen. The best fit college is a balance between academic, cultural, social, and financial needs. Review Your Teen’s Overall Academic Plan. Teens change and so will their academic plans. Review workloads. Each teen is unique and every year there are an increasing amount of educational options in school and outside of school that can be used to ensure that your teen thrives. Miriam Phillips-Gill is the founder of Pathways 4 Teens. Pathways 4 Teens provides educational services for teens, tweens, and parents. Our services give teens the tools and parents the information to help teens create a path for college success. Check out our Schedule of Events! Like us facebook or follow us on twitter for more great resources like this article. Are You Allowing Your Teen to Change? Starting a new school year is a new beginning. It is a time of new possibilities, challenges, and accomplishments. Are you pressuring your teen to stay the same? Are you open to your teen’s changing interests? This past summer, I was eating dinner with my daughter and some friends when the conversation turned to the question “What do you want to do in college?” I was shocked when my daughter stated that she didn’t like to talk about college when I was around. I proceeded to ask why and she said because I would think that was what she always wanted to be, and that I wasn’t open to her changing. Through my company, Pathways 4 Teens, I am an advocate for letting teens create their own unique path to success. Given this, how could my daughter think that I was not open to her changing? Throughout my daughter’s lifetime, she has been asked if she wanted to go to Stanford University, since both my husband and I went there. Last year she was handed another burden which everyone now questions. My middle child went to college and is studying engineering. Now both my husband and I along with both of my sons will have engineering degrees. Whenever someone asks if she wants to be an engineer, I say that I do not know and that perhaps she’ll be a writer because writing is something that she has always loved to do. I was trying to lessen pressure from my daughter about her future choices. However, apparently my actions were unknowingly coming across as pressure not to change. 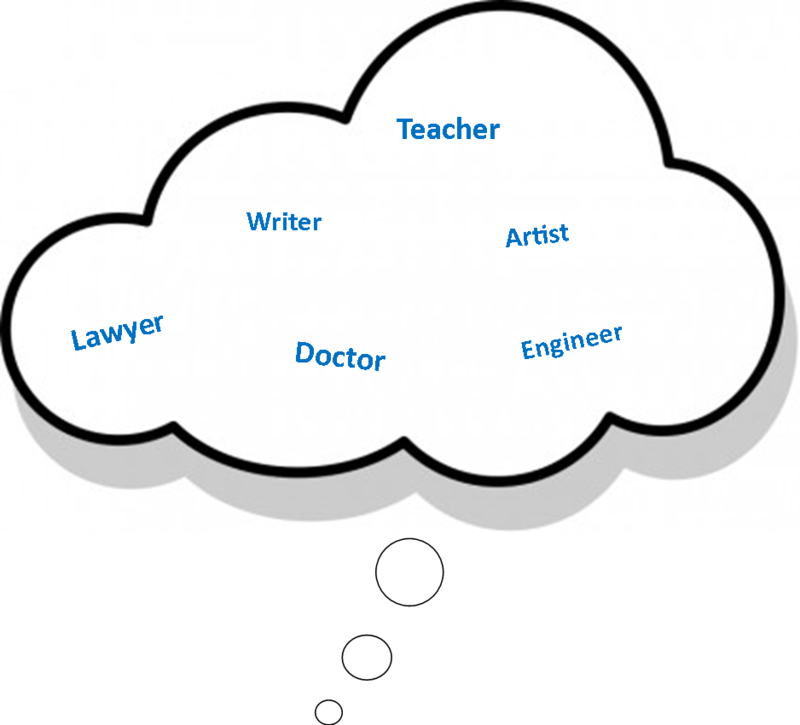 When I interview teens, they often talk about the pressure from parents or society to be a doctor, lawyer, or engineer, etc. Especially with the specialty programs offered in high school. Teens also talk about the pressure to stick with things, and that changing your mind can sometimes be viewed as giving up, or even worse as failure. I have often heard statements from parents like “he has wanted to be a doctor since he was little”. The time in middle school and high school is a time of growth and exploration, I hope my daughter knows to take risks and try things outside her comfort zone in a positive way. Who knows what she’ll discover about herself? After our dinner conversation, I was concerned that I was unknowingly sending my daughter the wrong message. That changed last week when school started and she had to do a project for English class that gave me relief. She chose the above quote as her life philosophy. Maybe, I’m doing something right after all! It used to be easy for middle class families. Choose a house in a good neighborhood with good schools, and send your child to the neighborhood school.Not anymore! Now parents have more choices.High schools are offering an increasing variety of programs from bio-medical to engineering to business and more. With these choices comes the responsibility for parents to do their research to determine which is best for their child. An important question is: Do the vast majority of teenagers know what they want to do for the rest of their lives? The answer is No. However, there seems to be increasing pressure from society to choose a “path” as early as middle school. What are parents and teens to do? Understand Things Will Change. Your teen will change as a person. The educational options will also change. New fields of study and new industries are constantly being created. Exploration is Important. Middle school and high school are important formative years. Expose teens to different fields of study. Keep an open mind and be mindful of the things that teens truly enjoy doing. Equally important, determine the things that teens don’t like. Just because you’re good at something doesn’t mean that you like doing it. Focus and make deliberate choices. Have a goal in mind. As time progresses, focus on things that teens truly enjoy and let go of things that they don’t. 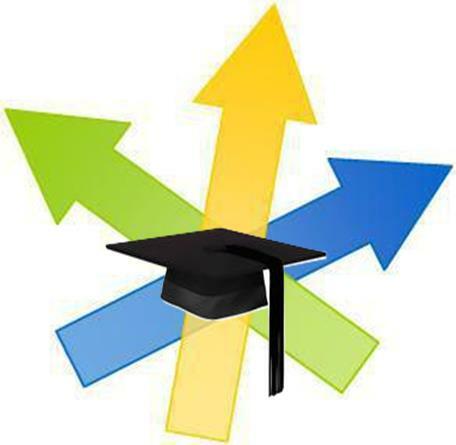 Know the various options and requirements along with the consequences of educational decisions. Overall the main goal should be happiness! Both parents and teens should enjoy the process as teens begin to discover who they are and what they truly care about. Isn’t that what everyone wants? Shortly after my first son was born, I had a conversation with my father. I was feeling guilty about having to leave my 8 week old infant son with a babysitter. At the time, my father took me aside. He told me that while this may be a trying time. It is a time when other people can easily help and take care of your child’s physical needs. However, he said a more critical time when your child will need you is during the teen years. At the time, I didn’t believe him. It seems contrary to the message that society sends about children being more self-sufficient and mothers going back to work when their children start school. However, now that my third child is a teenager. I know that he is right. Teenagers may not need you physically but they need you emotionally. The first moment I realized that I had a teenager didn’t come when my child blew out the candles on his thirteenth birthday. It came when my child was in the 5th grade at age 10. He came home upset because there was a group of kids going around asking a question dealing with adult subject matter. I realized we had come to the time of parenting that is truly hard, “the teen years”. The time when I had to take the time to teach my child lessons that he would truly use for a lifetime. I had to take the time to listen and resist the urge to jump in and fix things. This moment in time was the first of many teachable moments. Moments in time that caught me off guard and made me pause to deal with the situation. It would be so much easier to just tell him what to do but I had to take the time out to explain the details. These are the moments that truly prepared my son to go out on his own. 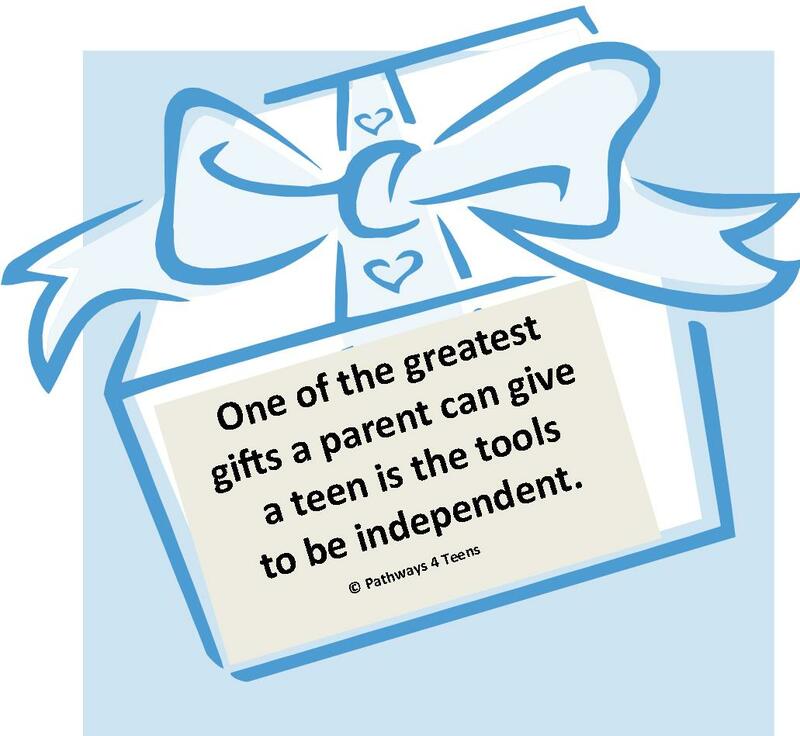 I truly believe that one of the greatest gifts that you can give a teen is the tools to be independent. Was there a moment when you realized you were the parent of a teenager? I’d love to hear your story. Make a comment and let me know. Why Teens Turn Down Sports Scholarships? For various reasons, they just don’t have a desire to play the sport in college even though many continue to have successful high school careers. Some students will experience burnout from having played the sport nonstop since 6th grade. Some will become disillusioned with the politics involved in the game such as disputes over playing time or coaching staff changes. Still, others may have been plagued by injuries. These issues only intensify at the collegiate level. Playing sports at the varsity level requires a big time commitment. A NCAA survey showed that athletes spent 39 hours a week on academics and 33 hours a week on sports. Playing sports takes sacrifice. Many students are unable to work, even at critical summer internships, because of the time commitment. Some students even change their college major because they are unable to be successful at demanding majors like engineering or pre-medicine. 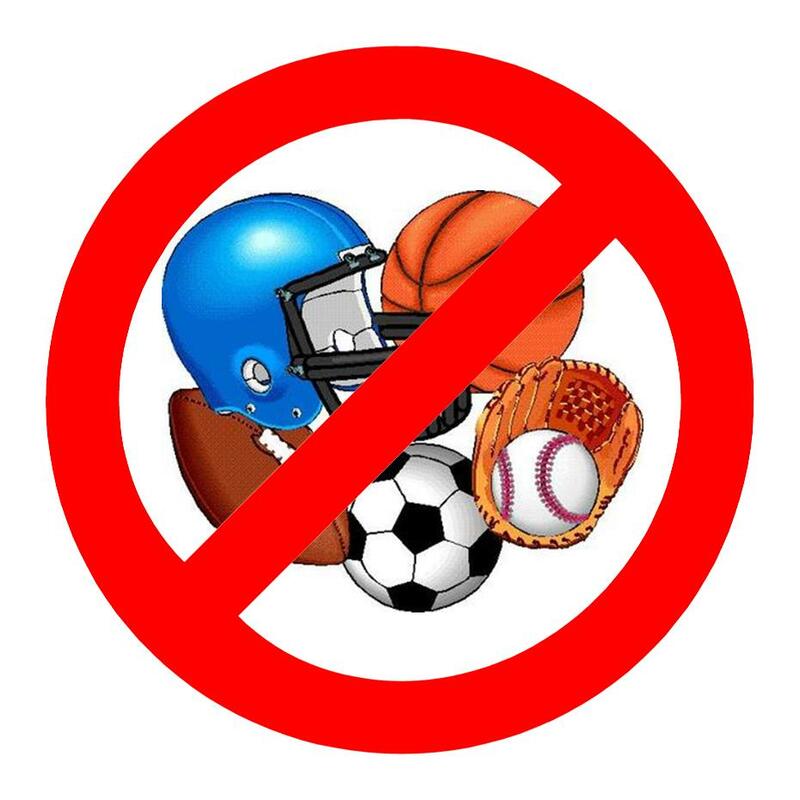 First of all, according to the NCAA only 2% of high school athletes will be offered an athletic scholarship. This includes “full-ride” and partial scholarships. Furthermore, there are always personal expenses that even “full-ride” scholarships do not cover. Only time will tell if your son or daughter will have the opportunity and desire to be a student athlete in college. Being a student athlete in college can be a very rewarding once in a lifetime experience. However for high school athletes, the main focus needs to be on the academics. Many student athletes have options taken away due to not being academically prepared. Sports can teach students many life lessons, but families need to be realistic and make informed decisions. Miriam Phillips-Gill is the founder of Pathways 4 Teens. Pathways 4 Teens helps teens define success through teen leadership and parent engagement. Contact Miriam at miriam@pathways4teens.com or 602-999-3892. Visit http://www.pathways4teens.com to register for an event! Also follow us on facebook and twitter for more great information!